Sony is certainly one of the best manufacturers of cameras in the world right now. The company has released various high-quality products to the market for every price range. No wonder, a lot of people tend to get confused in choosing the right Sony camera that suits their needs and preferences the best. 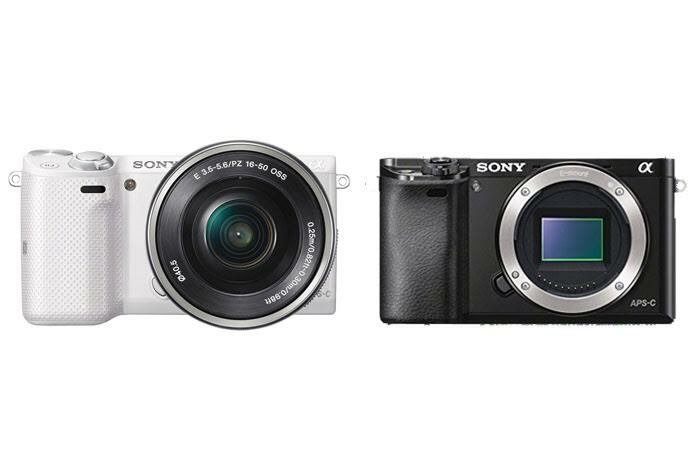 Now, if you are confused in choosing between Sony NEX-5TL and Sony a6000, you have come to the right place! Below, you can find the comparisons between the two models. Both are mirrorless digital cameras, for sure, but there are several differences that you need to put into account. One thing that you should keep in mind, Sony NEX-5TL is the model that includes a lens in the bundle. You can choose to have either the 16-50mm bundle, 16-50mm + 16mm bundle, or 16-50mm + 20mm bundle. Sony NEX-5T is the model that is body-only, without any lens. Even with the lenses available, Sony NEX-5TL is still quite more affordable than Sony a6000, making it such a value for the money. Sony NEX-5TL is slightly smaller and lighter than Sony a6000. Also, Sony NEX-5TL features a touchscreen control, while Sony a6000 features dial controls. Both Sony NEX-5TL and Sony a6000 relies on APS-C image sensors. However, Sony a6000 easily outmatches Sony NEX-5TL in terms of performance and output quality. To compare the two products, we will begin by taking a look at Sony NEX-5TL. The model is armed with a 16MP image sensor, with maximum ISO of 25,600 and 25 focus points. One nice thing, though, the autofocus is already hybrid, featuring both contrast-based detection and phase detection to detect and track movements. However, Sony a6000 boasts a 24MP image sensor with 51,200 maximum ISO, 179-point focal plane phase detection, and 25 contrast detection points. Not only it can produce larger, sharper, more detailed images, but also it delivers much better colors and dynamic range. Both models have very good continuous shooting performance. Sony NEX-5TL has a 10fps photo burst, while Sony a6000 is slightly faster with 11fps photo burst. Nevertheless, Sony a6000 is still the better one between the two, as it has a larger buffer capacity than the contender. Sony a6000 can take up to 47 JPEG shots before pausing whereas Sony NEX-5TL can only take 11 JPEG shots. Last but not least, Sony a6000 comes with a built-in flash, which can be handy at times. In general, Sony a6000 is the best way to go. The performance, functionality, and image quality are all much better. Sony NEX-5TL is viable only if you have a tight budget; in this case, Sony NEX-5TL comes along with the lenses, allowing you to save some bucks.